Most of us end up getting pretty comfortable behind the wheel after years and years of driving but could use some safe driving tips every now and then. We develop a false sense of security and ignore, or forget some of the cardinal driving rules we learned when we first got our licenses. Take note of the following safe fleet driving tips to remind yourself why these rules of thumb are essential for keeping you and the people you share the road with safe. It also doesn’t hurt to remind yourself of habits that will save you money. If you’ve never been rear-ended or rear-ended someone else, you probably underestimate just how long it takes to stop in an emergency situation. Years of collision-free driving can make you naive to the dangers of tailgating and not leaving enough space between you and the car in front of you. Making sure at least 2 seconds pass from the time the car in front of you passes an object before you do is a common way of measuring a safe distance between vehicles on the road. Two seconds is the minimum for city driving. Distances between cars should be greater on highways or in wet or icy conditions. If the driver behind you is tailgating you, pull over to the side of the road and let them pass. You never know when a vehicle in front of you may stop suddenly; keeping an ample amount of room between cars is a simple way of preventing an accident. It’s always surprising to see the amount of accelerating and braking coming from other cars on the road for seemingly no reason. You may find yourself coasting up to a red light while the vehicle in front taps the brakes several times before finally coming to a stop. 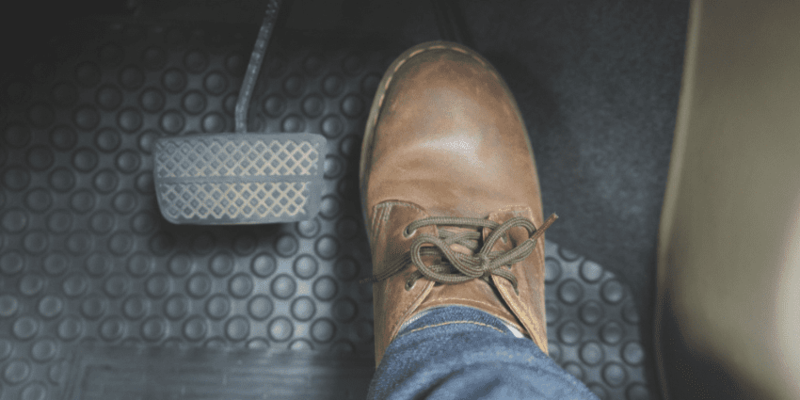 Looking ahead to anticipate stopping and taking your foot off the accelerator ahead of time so you can coast the rest of the way is an easy way of saving fuel and reducing wear on your tires and brakes. Coasting is also an excellent all-around habit for safety because you’re better prepared to stop when you’re not accelerating. It can be tempting to put your foot down when the light turns green to see what your V4 is really made of. It’s fun and can make you feel like you’re getting to your destination quicker. Though, the odds are it probably won’t make much of a difference regarding your total travel time. There’s no need for sudden acceleration, and not doing so is another simple way of avoiding accidents and saving money. One of the safe fleet driving tips many drivers forget is the importance of keeping your wheels straight when pulling into an intersection to turn left before turning, rather than slowly turning your wheels left in anticipation of the turn. The Reason being, if you get rear-ended while in the middle of the intersection with your wheels angled to the left, your vehicle could veer into oncoming traffic.This is extremely dangerous. Sometimes drivers find themselves doing this big no-no because they’re having a hard time seeing the oncoming traffic, so they creep with their wheels angled left to get a better view. An excellent way to avoid finding yourself in this situation is by entering into the intersection already slightly over to the left in the lane, this way you will have a good view of oncoming traffic without having to put yourself in a vulnerable position. Overall vehicle maintenance, like frequent oil changes, are important. 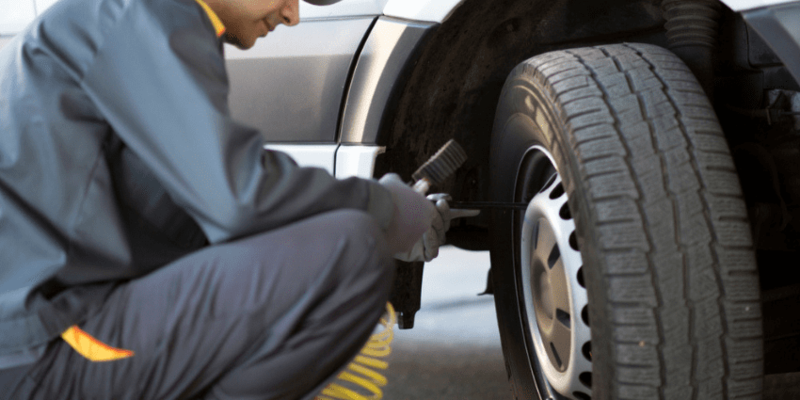 Checking your tire pressure makes the list because it’s so easy to do with no mechanical expertise and can have a significant impact on your fuel mileage and ability to control your vehicle. Next time you’re at a gas station with an air pump and a few minutes to spare, take a moment to measure your tire pressure and pump a little extra air in there if need be. It’s a small amount of effort for a significant impact on your vehicle’s performance and safety. Sounds simple, and it is. So many bad driving habits are the result of being in a rush to get somewhere. Traffic is inherently unpredictable, the only way to ensure you don’t feel rushed is to leave early. These safe fleet driving tips create good driving habits that can impact your wallet though reduced wear and tear on your vehicle, better fuel economy, and lower insurance rates from not getting involved in collisions. Most importantly, good driving habits could save your life! Car accidents are the cause of so many tragic deaths year after year. It’s essential that we all do our best to avoid becoming complacent while driving. Staying aware of good driving habits will at the very least help you take good care of your vehicle can potentially prevent you from being involved in a dangerous car accident. If you manage a fleet and would like to monitor driving metrics such as speeding, idling and harsh braking, fill out the contact form at the bottom of the page. A Nero Global fleet consultant will reach out to you to discuss how a state-of-the-art GPS tracking platform can help you monitor and improve your fleet’s performance.